You may think of a boutique as a small shop selling fashionable clothes, it’s also defined as a business serving a sophisticated or a specialised clientele. And in the business of sport it seems the tailor-made service or product is in demand, with more start-ups created by those with a passion for their sport, who are reaching out to people who share their passion. In this business, the customer is the focus, and expertise is a must. 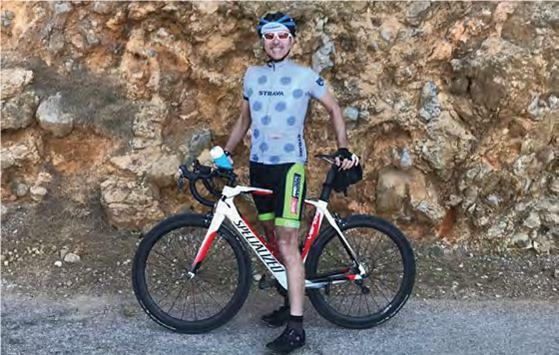 Like many boutique business owners, Santi has transferred and fine-tuned his skills from previous working life into the business of providing bespoke holidays for triathletes. “I’ve run businesses before, prior to this I ran a business providing services for insurance providers, and I have a good understanding of supply services and regulatory requirements, which is important when you’re working with travel companies, and organising the transfer of bikes as well as customers. I, along with my four colleagues, also have sound business knowledge, good financial acumen, but most importantly we all recognise the customer is central to everything we do,” he adds. Santi also has a passion for the sport and practises what he preaches, training up to 20 hours per week, as well as being part of a large network of local triathletes. 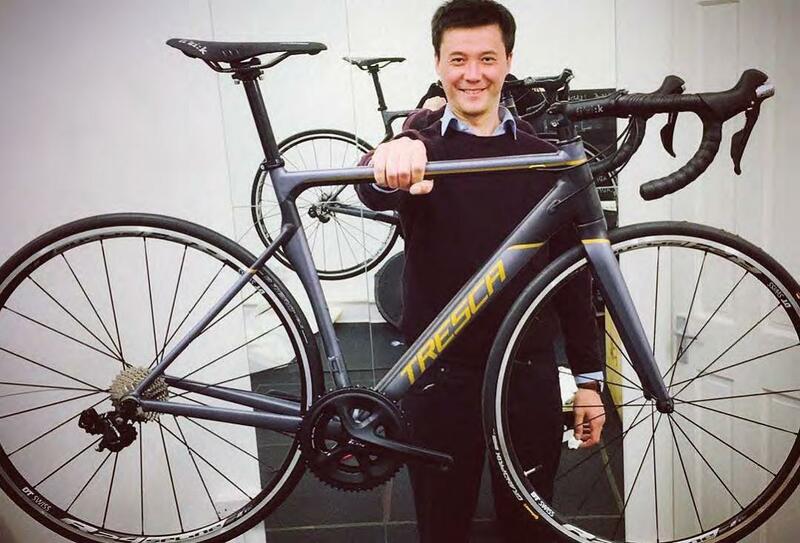 Kevin Scott, is one of a team of four founders in a collective business, Tresca bikes (https://www.trescabikes.com). They’ve applied their passion to engineering and designing a bespoke bike that they believe competes with the leading high spec offerings. “Working long hours, and into the night, we’ve engineered and designed an aluminium frame bike that we’re happy to say we’ve optimised for comfort and performance.” Kev, who also coaches an all-female roller derby team (http://londonrollergirls. com) using detailed analytics, brings with him a keen eye for detail. He says one of the stand-outs of his business is, that ‘Cycling is our passion not our job.’ The London based collective have created a bike that Kev says, is ‘completely bespoke. Every single part of this bike has been designed. The tube profiles, the dropouts and all of the geometry. We’ve successfully brought highlevel engineering to a product that has mass market appeal,’ he adds. “We’ve optimised our product in a way that we feel most brands are not doing in this sector of the market. We’ve got rid of old fashioned negatives around an aluminium frame to provide a comfortable and efficient ride. Because we’re small and specialist we’ve managed to apply engineering that’s usually only available at a higher sales point,” he explains. And because they’ve cut out the middle men by selling direct to their customer online, or via their network, they save on overheads bigger companies cannot avoid. Making your hobby your business has obvious pitfalls, including seeing things through rose-tinted glasses and mistaking your passion for hard facts and a detailed business plan, but there are obvious advantages. First and foremost is that you have your network of customers in place and market research can be done on the ground. As well as participating in the sport, Santi is a former chair of his local triathlon club in Brighton and now chairs British Triathlon South East and is working hard to drive participation in the sport. 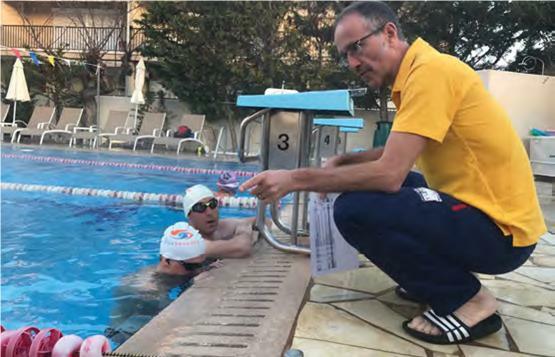 His camps include weeks for clubs with their members as well as individual coaches from his network who want to connect all their clients. When you are your business, you can be very reactive very quickly. “We sell direct to our customer, both through our network and online, and so we can get feedback quickly. All our engineering is in-house, and we can make modifications and adapt our product as we grow. Working with an independent mechanical engineer independently and designing products for the sport we love means we’re in touch with the coal-face. He’s able to detach himself from the shiny and show us what works,” he adds. Without the ties of a big corporation it’s also easier to find ways to make your passion and beliefs materialise through your business. Santi, who values diversity, is looking at ways of creating a Paralympian camp for athletes who don’t get funding but want to have the coaching, expertise and fun of a holiday training camp. 2.Be the very best at what you do: see what others do and do it better. 3.Define the Why? And make it part of your unique proposition in all your sales, marketing and in the delivery of your product or service. 4.Play to your Strengths: List your transferable business skills and see how you can make them work for your boutique business. 5.Define your personality and tell your story: use social media, videos, vlogs, blogs and real people to share the buzz about your business. 6.Make Customer service your priority and be responsive and reactive to their needs. 7.Price high: boutique isn’t mass market, it isn’t about volume. It’s quality not quantity; think Saville Row not Moss Bros.